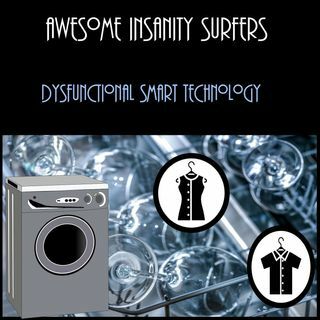 Dysfunctional Smart Technology (Air Date January 22, 2019) A.I. Mike, A.I. Crystal and A.I. Hazel interview two brand new App Alliance inventions which are interactive and intelligent. One is the Anything Cooker which can convert itself into different appliances and the other is the One Wash which will make laundry and dishes clean simultaneously! But then, something goes wrong. I liked the voice of the anything cooker. Sounded a bit painful. Maybe the mechanic chiropractor will help.